What will Bill O'Reilly do now? Can Bill O'Reilly jump to a rival network? Will he? Those are two of the outstanding questions now that Fox News has canceled "The O'Reilly Factor." O'Reilly's public statement on Wednesday gave no indication about what he might do next. He said he wishes "only the best for Fox News Channel." But he could seek to cross the proverbial street and appear on a competing channel. While Fox's two biggest rivals, CNN and MSNBC, would not be interested in hiring him, conservative upstarts like Newsmax or One America News (OANN) could be. "I'd love to talk to him," Newsmax CEO Christopher Ruddy told CNNMoney Wednesday afternoon. Ruddy said he would want to know more about the issues surrounding O'Reilly's ouster from Fox. But "I'm not closing the door" on O'Reilly "just because there were allegations that were not confirmed," he said. A source close to O'Reilly said the broadcaster has not given much thought to his Fox-less future yet. When he left for vacation last week, he told viewers that he'd be back on the "Factor" soon. At least until Tuesday his representatives had been holding out hope that the Murdochs would continue to support him. When the Murdochs went the other way, O'Reilly prepared a statement with the help of his agents and crisis communications adviser. "It is tremendously disheartening that we part ways due to completely unfounded claims," O'Reilly said. O'Reilly observers are curious to see if the hot-tempered host will channel his anger into some sort of new project. On the other hand, the 67-year-old mused about retirement last year, saying "I don't want to work this hard much longer." He still went ahead and signed a new contract with Fox, however. It is unclear if the exit agreement between Fox and O'Reilly limits his ability to appear on other networks. So-called "non-compete" clauses are common but not universal. Wednesday's new denial by O'Reilly -- calling the harassment claims unfounded -- may be significant to potential business partners. Any channel looking to hire O'Reilly would have to weigh the damage that has been done to his reputation against the loyalty of his his fans. O'Reilly was a ratings magnet at Fox -- but it's hard to know how much of his audience would follow him to another network. The channels that are trying to challenge Fox, like Newsmax, have much smaller profiles and are harder to find on the dial. OANN, for example, is available in about 35 million households in the U.S., while Fox News is available in almost 100 million. But the channel recently earned some attention by hiring former Trump campaign manager Corey Lewandowski as a commentator. Charles Herring, the president of Herring Networks, which owns OANN, said he expected Fox would replace O'Reilly with a highly capable host, but he's hopeful that "viewers migrate to One America News." Newsmax TV, Glenn Beck's The Blaze and Sinclair Broadcasting have also been mentioned as possible suitors for O'Reilly. 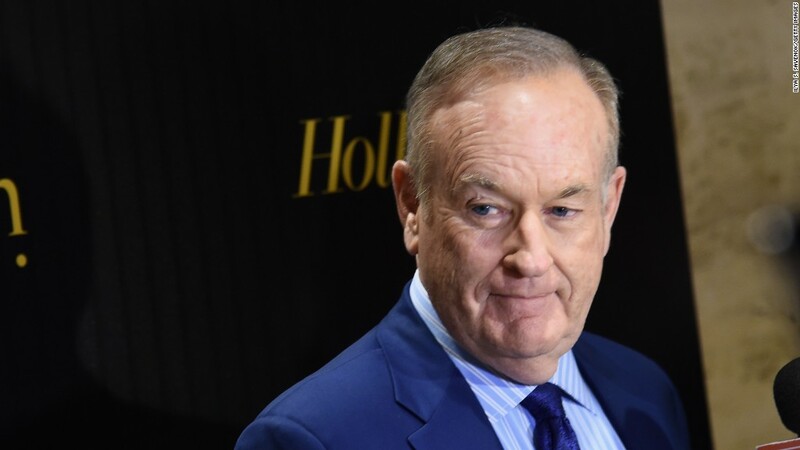 Ruddy, of Newsmax, said Wednesday, "I think Bill O'Reilly was the heart and soul of that network, and he has unparalleled and unchallenged talent. I think he's still a hot commodity." The "Factor" was the hub of O'Reilly's business, but he has many other spokes, including a line of best-selling books and stage shows at theaters. His book publishing partner, Henry Holt, said Wednesday that "our plans have not changed." The National Geographic channel has turned several of O'Reilly's books into TV movies. When Variety asked about the next one in development, "Killing Patton," the channel said "we're not making any decisions today."